This kid-friendly book offers a first thoughtful glimpse into the world of birds: from eggs to nests, from song to flight. 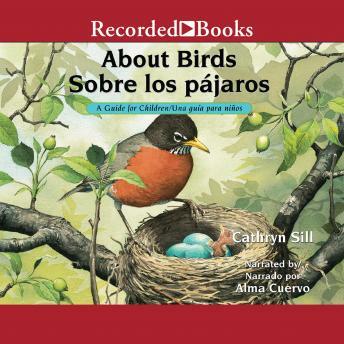 In this delightful book, teacher and birder Cathryn Sill explains to children what birds are, what they do, and how they live. Accompanied by beautifully detailed illustrations from noted wildlife illustrator John Sill, About Birds is a first thoughtful glimpse into the world of birds, from eggs to nest, from songs to flight. Simple and enlightening, About Birds tells children what is essential for understanding and appreciating birds. An afterword provides further detail for youthful ornithologists and their parents regarding bird identification. About Birds will faithfully answer the first questions of young ornithologists and charm adults with the wonder and diversity of this important species.